NO. 1 NEW YORK TIMES BESTSELLER Published more than two decades ago to great critical acclaim and commercial success, A Brief History of Time has become a landmark volume in science writing. Stephen Hawking, one of the great minds of our time, explores such profound questions as: How did the universe begin-and what made its start possible? Does time always flow forward? Is the universe unending-or are there boundaries? Are there other dimensions in space? What will happen when it all ends? Told in language we all can understand, A Brief History of Time plunges into the exotic realms of black holes and quarks, of antimatter and "arrows of time," of the big bang and a bigger God-where the possibilities are wondrous and unexpected. 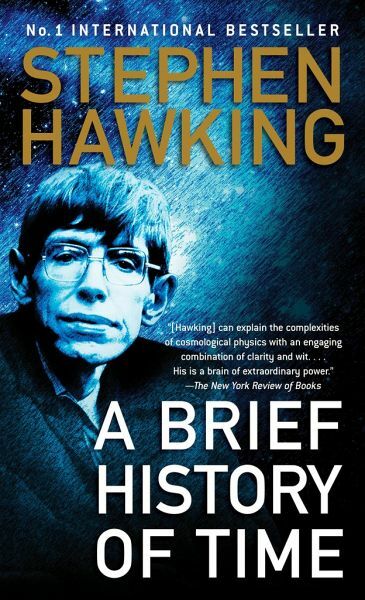 With exciting images and profound imagination, Stephen Hawking brings us closer to the ultimate secrets at the very heart of creation.